The majority of Asia’s top 1,000 companies are unconvinced that digital technologies such as blockchain will improve their trade finance experience. 54% of those polled in exclusive research conducted on behalf of GTR said they were either unsure whether it would translate into a better user experience, or that it would definitely not do so. This compares with 46% of respondents who think that such technology will improve the trade finance products they use. The feedback comes as many banks in the region aggressively pursue blockchain projects. HSBC and ING recently completed their maiden trade finance deal on the ledger, out of Hong Kong. Last week, Commonwealth Bank of Australia also completed a trade deal with the help of blockchain technology. The research, which was undertaken by East & Partners, polled 1,000 companies in 10 countries across Asia, namely: China, Hong Kong, India, Indonesia, Malaysia, the Philippines, Singapore, South Korea, Taiwan and Thailand. Support of digital products is strongest in China, Hong Kong and Singapore. This is unsurprising given that these are among the hotbeds of fintech innovation in the region. In countries such as Indonesia, the Philippines and Thailand, appetite for such products is lower. There are many examples of innovative banks and companies in these countries. In Thailand, 14 banks are developing a trade finance platform using blockchain technology. In the Philippines, meanwhile, invoice financing platform Acudeen is working with fintech company Stellar to build a blockchain layer that will connect its marketplaces across multiple geographies. However, in general, it is perceived that the technology is being pursued more vigorously in more mature financial markets, where regulators are seen to be driving many of the initiatives. “Engagement with digitised solutions tends to be driven by multinational companies in Singapore, Hong Kong and China. It’s almost a measure of maturity and sophistication,” says Paul Dowling, principal analyst at East & Partners. Furthermore, those companies that are interested in digitising their trade finance experience are expecting to be led by their banks. “That’s the go-to place for these corporates. They’re not necessarily building their own stuff, piloting their own digitised solutions, they’re looking for their banks to deliver,” Dowling says. A director at a Singapore-based commodity producer tells GTR that the company is extremely interested in – and well-versed on – developments with blockchain technology. However it is not a strategy they are pursuing independently. “We don’t pursue digitisation on our own. We pursue it with our banking partners as well as some of our key customers, and some of the other participants within our supply chain,” says the source, who prefers to remain unnamed. Other commodity players have independently staked out blockchain. Trafigura, for example, enlisted French bank Natixis last year to test the technology for use in the oil market. Steve Ehrlich, chief operating officer at the Wall Street Blockchain Alliance, says that the needle of sentiment will move towards blockchain and other forms of disruptive technology as education as to its benefits also grows. Ehrlich claims that many corporates “cannot define a blockchain, let alone articulate how it could impact their everyday financing activities”. He says that the association with bitcoin does not do the technology any favours, given the tumultuous year the cryptocurrency has had. “With all of this in mind, it is perfectly reasonable that a significant percentage of respondents are waiting to be convinced of the technology’s utility and efficacy,” he tells GTR. He adds: “From my point of view, one that appreciates and is supportive of blockchain-based trade finance and supply chain initiatives, this is not unreasonable. 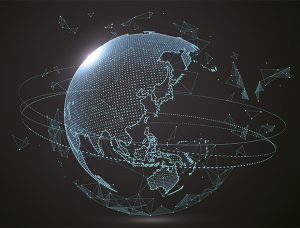 Looking at the 46% who are confident about the benefits of blockchain, it is good to see this level of optimism, though I’d imagine that they are looking for some of the same progress indicators as the pessimists.” The post Most Asian companies unconvinced by blockchain’s use in trade finance appeared first on Global Trade Review (GTR).